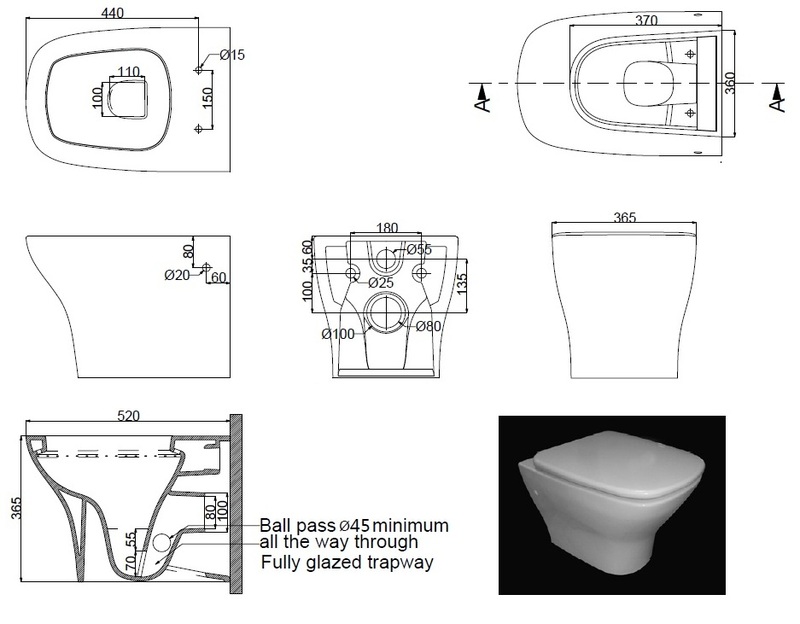 Elegant and frameless pivot shower door, 100 cm, with 8 mm safety glass, including square handles for easy grip and pivot hinges with lifting mechanism. Easy clean & fast installation with 180° opening reverible panels. Square tray with a natural looking stone finish and anti-slip surface. Stratch and stain resistant, with a fast draining waste hole (D 90 mm) and including a maching drain cover. Light and easy installation. Elegant and frameless corner entry double pivot doors, 80 x 80 cm, with 8 mm safety glass, including square handles for easy grip and pivot hinges with lifting mechanism. Easy clean & fast installation with 180° opening reverible panels. 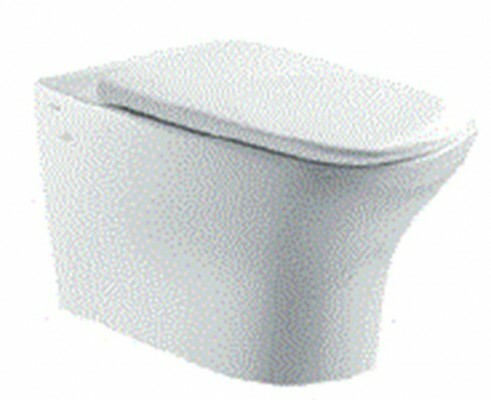 Wall-hung rimless toilet pack in glossy white porcelain, including slim soft-close and take-off toilet seat in duroplast. With P-trap outlet.